Have a look at the following how-to questions to see if they help you achieve what you want. If not, book an hour's consultancy via a remote screenshare with me. Interested in signing up? Visit the ProActive page. I hope the questions and answers below, along with the screenshots, help to answer any specific questions you have so that you can get the best out of ProActive and put it to the best of use for your business. Over time I'll be adding more sections as required. I know that some of you may find the techy integrations difficult, but once done they are easy to use. 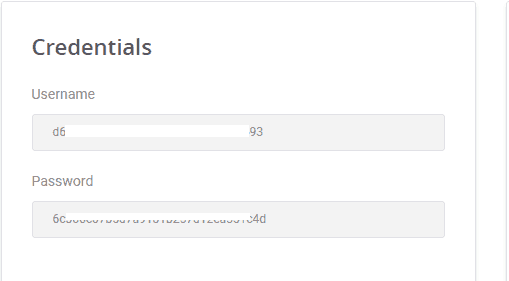 A really powerful feature of ProActive is its ability to allow you to send mailshots to a group of your contacts. There's some techy stuff that needs to be done to enable it. It's free. Go to https://www.mailjet.com/ and select to Sign up for free. Enter the email address that is in the Settings of your ProActive account, Create a password, confirm you're not a robot and then Sign up! They will send you an email to verify the email address you just used. Follow the instructions in the email, which should leave you logged in to your new Mailjet account. 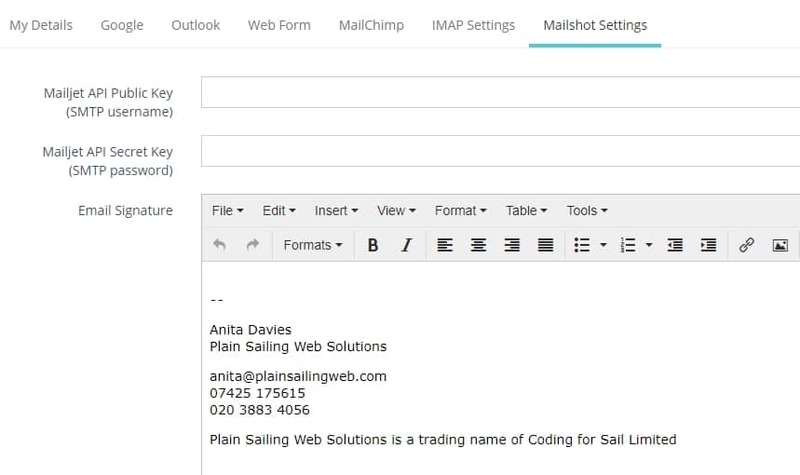 Enter the Mailjet Username into the Mailjet API Public Key (SMTP Username) field. If you have an email signature that you want to use, put it in the Email Signature field, then Press Save. Then select the orange Mailshot button and check the list of contacts to be emailed. It will exclude any you might have selected Do Not Email, and any without an email address. Type the subject and body of your email. There are placeholders you can use which will substitute the name, surname or full name of the contact. Copy and paste these as required into your email body. When you're ready, you can send a test email and then the mailshot itself. Any placeholders you've used won't be substituted on the test email, but they will in the mailshot itself. 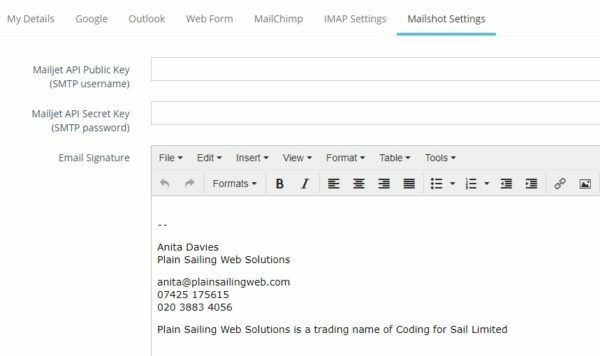 How can I add photos or visuals to a mailshot? You just need to upload the image somewhere first, eg a Dropbox account or Google Drive - whatever you use - and create a link that can be used by anyone. Copy the link because that is what you are going to put into ProActive. 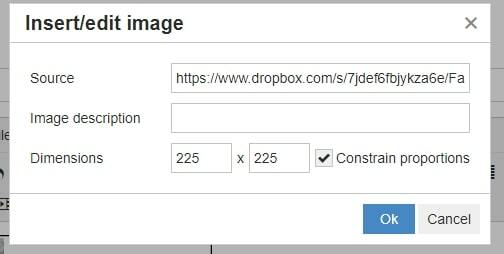 It should look something like: "https://www.dropbox.com/s/7jdeefghkr47za6e/Favicon.png?dl=0"
Paste that link you just copied into the Source field, add a description and dimensions if you want and press ok. The image gets inserted and then you can go on with the rest of your mailshot. Log in to your Mailjet account Dashboard - this should be the first page you are taken to when you log in. Or you can get to it by clicking on the orange logo that looks like a paper aeroplane. This is the part I find most useful as it shows me at a glance the subject, recipient and time of the email, along with its status (delivered, bounced, opened etc).